We need to talk about the Instagram algorithm. And if just seeing the word “algorithm” freaks you out, we get it. Many brands were absolutely rocked by the 2018 Facebook algorithm update that results in a nosedive of organic reach. Meanwhile, you may have noticed that your Instagram content hasn’t scored the same engagement as it did in the past. This has rightfully left brands wondering: what’s the heck is going on with the Instagram algorithm? Are we going to see a repeat of last year’s Facebook frenzy? In this guide, we’ll break down the state of the Instagram algorithm as we know it. We’ll likewise dive into some specific strategies and tactics to ensure that you’re maximizing your organic reach as the algorithm continues to evolve. How has the Instagram algorithm changed for 2019? To better understand the present day Instagram algorithm, let’s turn back the clock. This signaled the end of the old reverse-chronological feed an adoption of an algorithmic feed similar to Facebook. The same sort of sentiment was echoed by Facebook’s 2018 pledge to “put friends and family first,” favoring personal content over marketing content. Around the same time, Instagram themselves announced improvements to users’ feeds that gives priority to fresh, timely posts. The specifics of this update and subsequent changes were vague beyond the introduction of the “You’re All Caught Up” notification to let you know your feed is up-to-date. Now, let’s fast-forward to the present. In January 2019, Instagram acknowledged the growing public concern over their algorithm and broke their silence in a series of tweets. 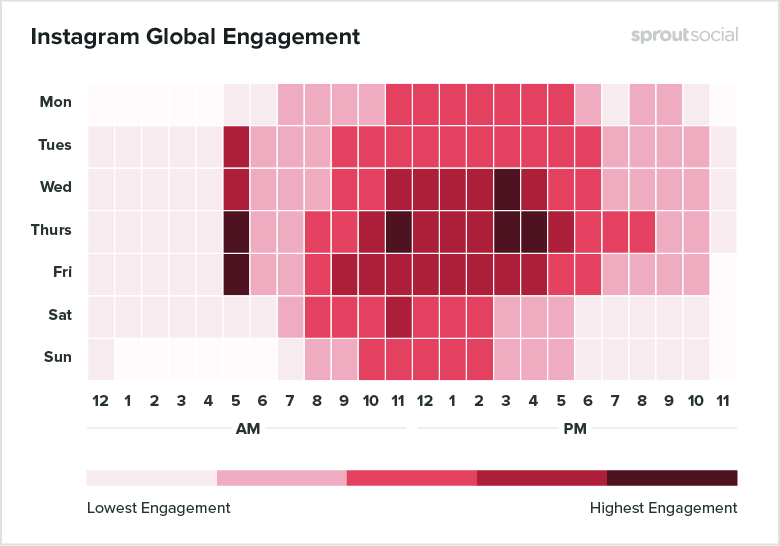 Specifically, Instagram stated that what shows up first in your feed is primarily based on your own activity. And that’s where we stand today. Understandably, this explanation has left brands with plenty of questions on how they can maximize their engagement. The short answer? Come up with a content strategy that gives the Instagram algorithm exactly what it wants. Based on what we know about how the algorithm works and what we’ve seen firsthand at Sprout, growing your reach and engagement is possible in the face of the algorithm. Below is a snapshot of the strategies and tactics you should employ if you want to guarantee that more people see your content. No-brainer, right? Except what constitutes “good content” is in the eye of the beholder and doesn’t give us many specifics. Regardless, there’s no denying that the most-liked and shared content on Instagram is oftentimes visually striking. If you’re already creating eye-popping content, you’re ahead of the curve. And if not, you may want to think about producing some professional visuals from time to time. Even if you’re in a seemingly “boring” industry, high-quality photos are an expectation rather than an exception to the rule. Also, consider that there are tons of Instagram apps out there like VSCO which can give your imagery a more professional vibe on a budget. This might seem like a bit of a backward tip, but hear us out. Supposedly, Stories do not have any sort of influence on the Instagram algorithm. So why bother posting ’em? Well, consider first of all that they’re easily the most popular type of content on the platform. Instagram Stories just passed the 500 million daily user mark which is nothing to scoff at. The popularity of Stories might also be contributing to brands posting less content on their traditional feed, resulting in lower engagement. Stories provide an authentic, speedy way to engage your audience that people obviously love. They also push your brand’s account to the front of your followers’ Stories updates, putting you quite literally front and center on their feed as a result. In short, Stories will consistently keep your profile popping up. This spells good news for engagement as your followers are constantly being encouraged to check out your content. Instagram doesn’t downright say that video is prioritized over photos. The might lead us to believe that they’re treated the same, but let’s dig a bit deeper as to why video definitely deserves your attention. Remember what we said earlier about eye-popping content? Given that video autoplays in your followers’ feeds, there’s arguably no better way to grab someone’s attention when they’re sitting there scrolling. And if we’re following the logic behind Facebook’s algorithm, we want followers to spend as long as possible engaging with our profiles. Short-form and long-form videos require people to stop and look, plain and simple. Instagram’s platform has been pushing video hard lately through stories and IGTV. In fact, Instagram just announced that IGTV content will now begin appearing in your followers’ feeds rather than being confined to IGTV itself. This is huge news that again signals that Instagram wants to see creators producing video. As a side note, your video content doesn’t need to be a full-blown production. Simple time lapse and Boomerang videos are enough to draw in viewers for brands both big and small. What matters is that you’re producing some form of video. A quick tip, but definitely one worth mentioning. 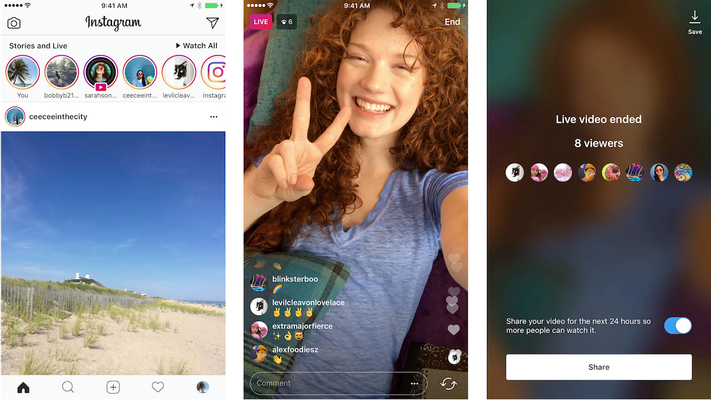 Like Stories, Live video doesn’t have any specific bearing on the Instagram algorithm. However, Instagram Live does generate notifications to followers by putting itself atop your followers’ Stories feeds as well. The beauty of live video is that you’re expecting to produce something simple and off-the-cuff. This means there’s less pressure once again for professional, polished content. Just like brands should experiment with traditional video, live video is also something to explore. The Instagram algorithm supposedly prioritizes engagement. That means likes and shares are valuable currency. We often stress that likes and shares are mere vanity metrics and brands should be concerned with more pressing metrics. But encouraging interactions directly is totally fair game on Instagram. Doing so is also so easy as you can ask followers directly to drop a comment. For example, tag-a-friend or question-based captions are a great way to get people talking. Conversations encourage interactions which is a positive signal to Instagram. Conventional wisdom should tell us that not each and every post should follow this formula, though. This is based on how Facebook punished engagement bait and brands that purposely tried to game their algorithm. In other words, you should integrate engagement-based captions on Instagram but don’t go overboard. For many businesses, you’ll notice that contest and giveaway posts are among their most popular and engaged. Whether it’s sharing a hashtag or creating some user-generated content, contests can help drive a surge of engagement to your profile. Despite popular belief, these contests are alive and well. Just make sure you’re equipped to handle a social media contest and understand the legalese behind it before getting started. Also, consider a “less is more” strategy for your contests so that there’s ample time to build buzz between them. The more eyes on your posts, the better. Hashtags can help attract those eyes in a matter of seconds. Including hashtags as part of your content strategy ensures that your posts are essentially searchable. A combination of branded, product and community hashtags represents the perfect storm of encouraging engagement. If you’re afraid of going hashtag-heavy, don’t be. Based on our breakdown of how to use hashtags, we found that nine was the “magic number,” although some brands post 15+ and still score serious engagement. For the sake of not looking like a spammer, we’d suggest using only your top-performing tags instead of needlessly bloating your captions. 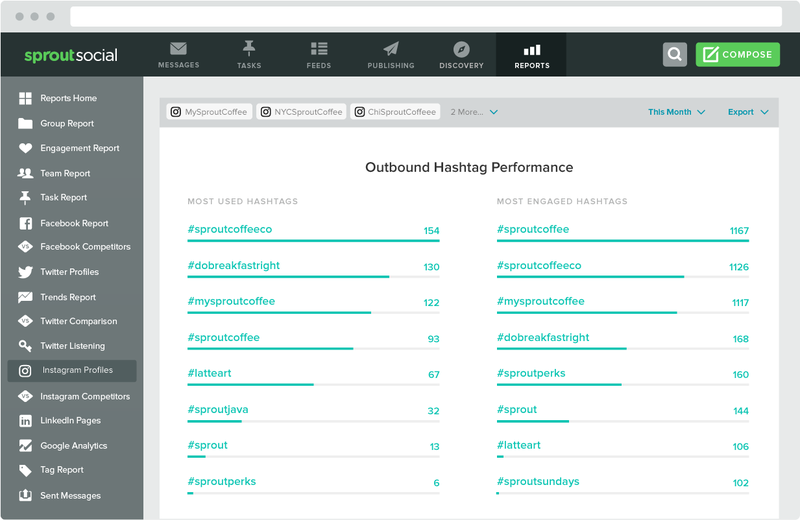 With the help of Sprout, you can zero in on which tags to use to maximize your reach. Perhaps the most straightforward way to win with the Instagram algorithm is to post during peak hours. Here’s a glimpse of the best times to post based on our research. Publishing during peak times doesn’t necessarily encourage a flood of activity. Doing so is certainly better than posting when your audience is asleep, though. Everyone’s audience is different and therefore will be most engaged at different times. That’s why features such as Sprout’s ViralPost are valuable, automatically detecting when your followers are more likely to see your content. You can then schedule your posts in advance to hit on those times. 9. When in doubt, post more often! Finally, don’t be afraid to increase your posting frequency. And in a way, this brings our guide to outsmarting the Instagram algorithm full-circle. Posting more often will give you more room to experiment and assess which pieces of content (hint: like the types above) are working and which aren’t. 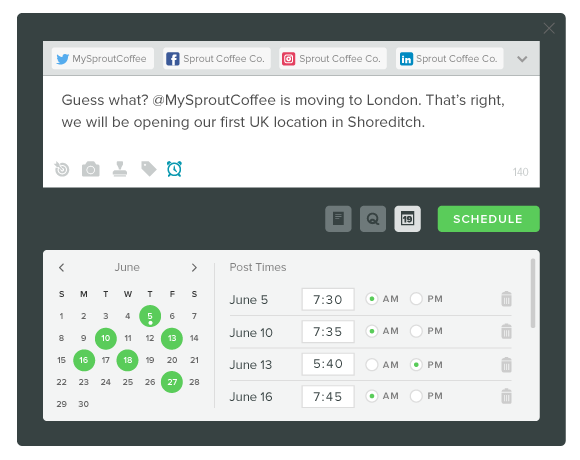 Through Sprout’s scheduling, you can plan out a diverse content calendar that helps you reach more customers by allowing you to queue up posts in advance. This allows you to the freedom to publish more often on your own schedule rather than feel pressured to publish in real-time. 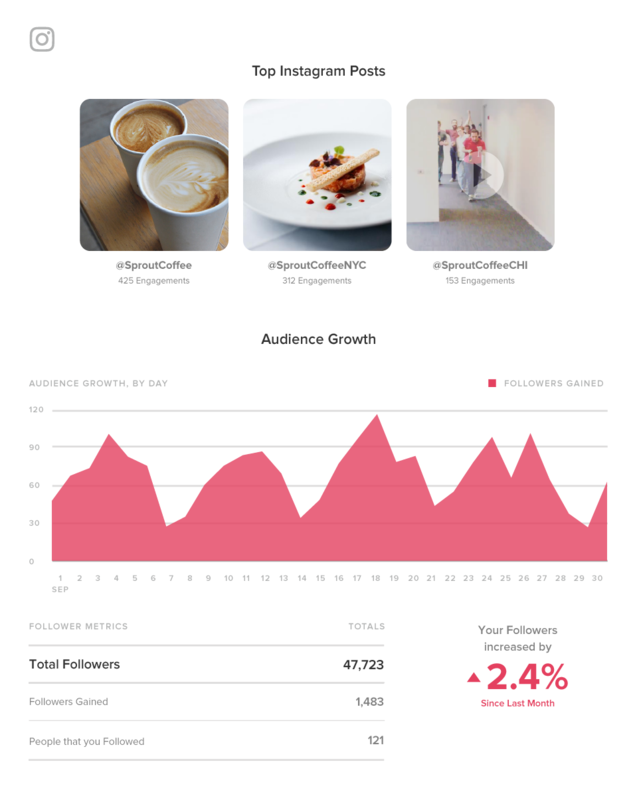 Analytics and reporting from Sprout can point you to top-performing posts, peak times and what pieces of your Instagram campaigns are resulting in the most followers. Are you ready to take on the new Instagram algorithm? Spoiler alert: the Instagram algorithm doesn’t have to be a giant question mark. 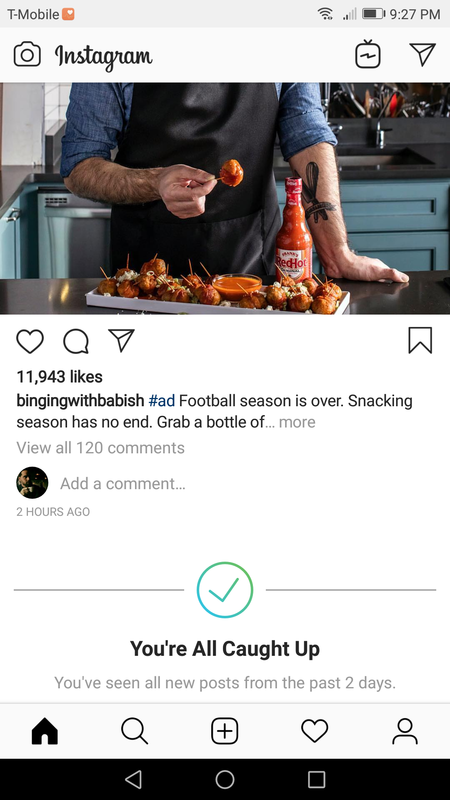 There’s still plenty of ways for brands to engage customers in the face of the evolving Instagram algorithm without having to invest exclusively in ads. 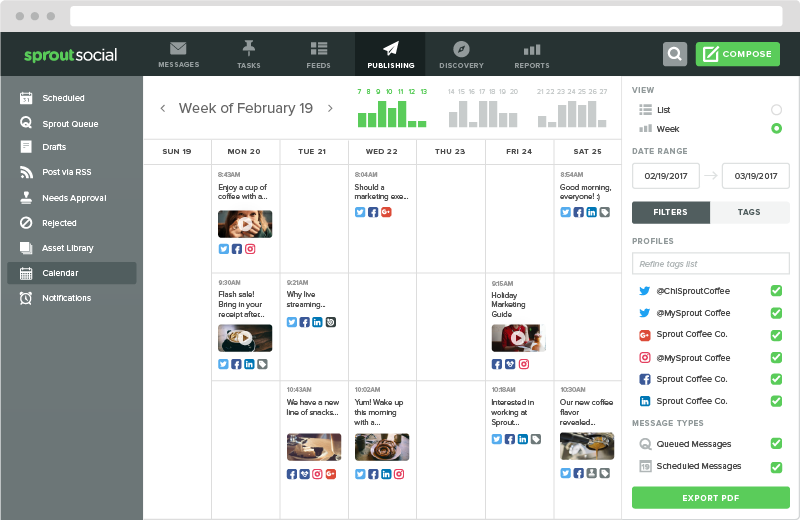 Doing so means taking advantage of the platform’s latest features as well as scheduling tools like Sprout to ensure you’re constantly putting out fresh, timely content that encourages engagement. Rather than shy away from the new rules of the algorithm, tackle them head-on. We’d love to hear from you, though. Have you seen a fall in your engagement rate due to the new Instagram algorithm? What do you plan on doing about it? Let us know in the comments below!